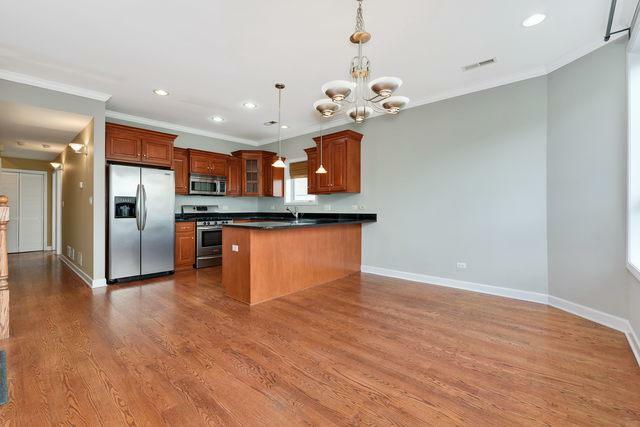 Spacious 3BR duplex up in very convenient East Pilsen location. Quality finishes are found throughout this thoughtful layout. 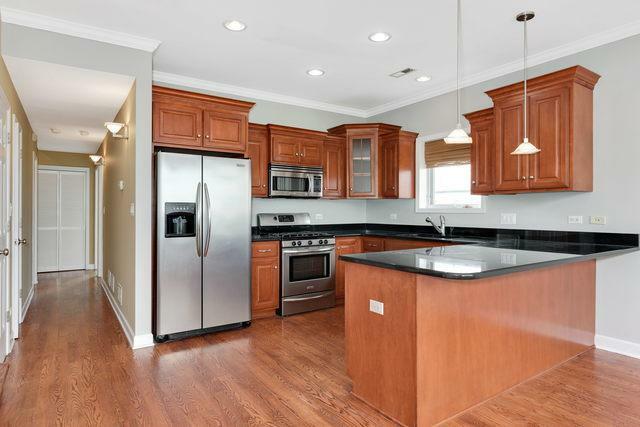 Enter into an open dining kitchen area with hardwood floors and custom maple cabinetry. The master bath has whirlpool bath and separate shower. The upper level features master bedroom, master bath, living room, powder room and den bedrooms. 2 car parking included! 1 garage spot with an exterior tandem parking pad. 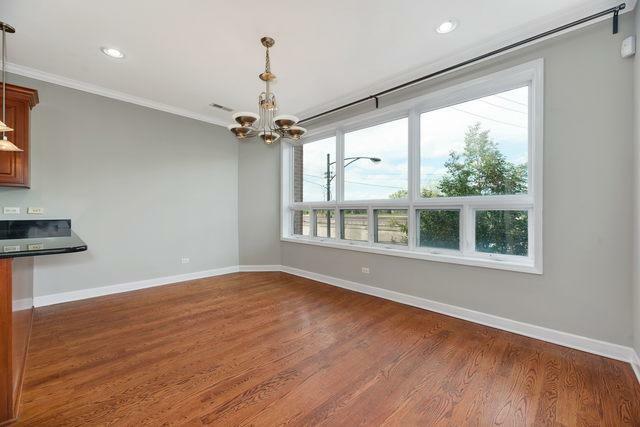 Large, private rooftop view with stellar downtown views. Freshly painted. 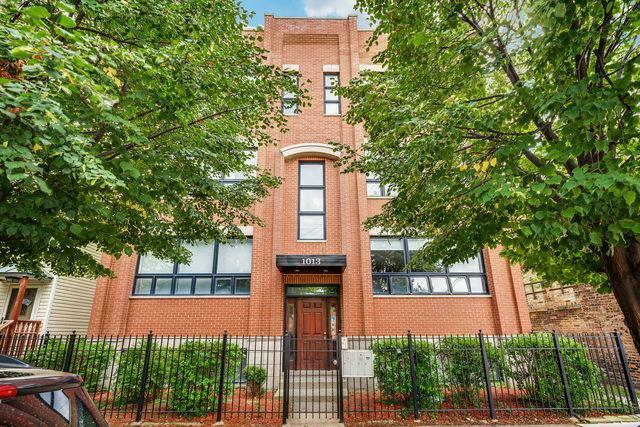 This truly convenient location is walking distance to Pink Line, Metra, Blue Island CTA, Little Italy, UIC and more! Neighborhood qualifies for incentives from preferred lender. Lender will cover all the lender related costs thanks to the incentive of buying in this area. © 2019 Midwest Real Estate Data LLC. All rights reserved. IDX information is provided exclusively for consumers' personal, non-commercial use and may not be used for any purpose other than to identify prospective properties consumers may be interested in purchasing. Information is deemed reliable but is not guaranteed accurate by the MLS or Mark Bowers Team at Berkshire Hathaway HomeServices Snyder Real Estate. The data relating to real estate for sale on this website comes in part from the Broker Reciprocity program of Midwest Real Estate Data LLC. Real Estate listings held by brokerage firms other than Mark Bowers Team at Berkshire Hathaway HomeServices Snyder Real Estate are marked with the Broker Reciprocity logo or the Broker Reciprocity thumbnail logo (a little black house) and detailed information about them includes the names of the listing broker. Some properties which appear for sale on this website may subsequently have sold and may no longer be available. NOTICE: Many homes contain recording devices, and buyers should be aware they may be recorded during a showing. Data last updated: 2019-04-23T08:51:14.76.